Jody Bergsma’s unique watercolor artwork combines her passion for native wildlife, fantasy creatures, and geometric design. She also illustrated The Spirit of the Wheel Meditation Deck by U.S. Games Systems, Inc.
Cards measure 3.5" x 5.25"
I’ve been waiting eagerly for this amazing deck to come out since I heard that U.S. Games was going to publish it! I followed Jody’s artwork of the Magical Times that started trickling down on Facebook, one card at a time…but Oh, what a gorgeous set of cards! It seemed to take FOREVER before I got the word that I was going to be able to review it and wow…As I sat opening this deck, my eyeballs just about popped out of my head…this deck was beyond what I had hoped for! 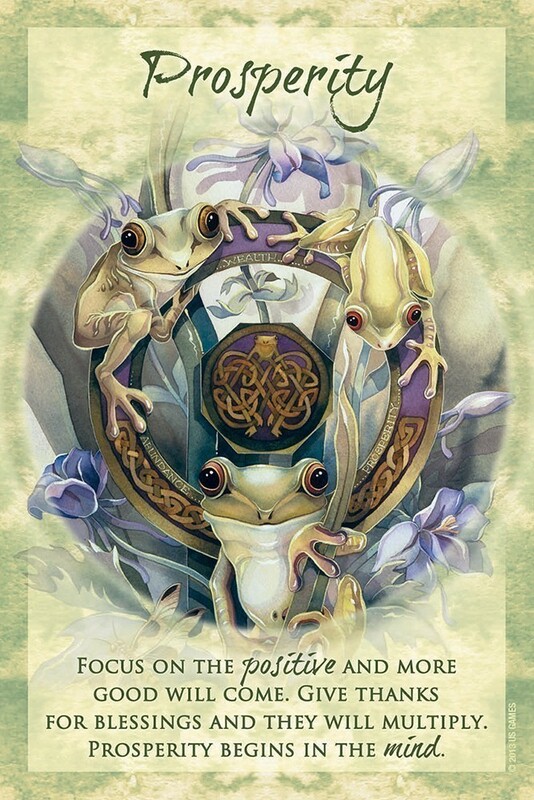 Magical Times Empowerment will absolutely knock your socks off with Jody Bergsma’s exquisite imagery, powerful positive affirmations and a sturdy yet stunning hard flip top box. Some of you may recognize Jody’s other deck, The Spirit of the Wheel Meditation deck, which in itself is a fantastic set of cards. Jody began her journey with art at an early age and with her mother’s encouragement. 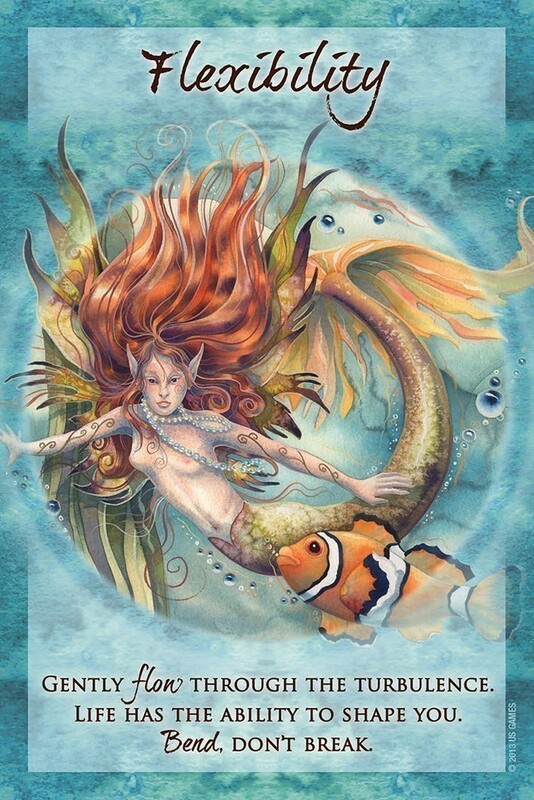 She was invited to her first art show at fifteen and has dozens of awards which incorporate her unique style of imagery containing fantasy, wildlife, and geometric designs that can be seen in several of the Magical Times cards. Jody’s use of affirmations… affirmations are sayings that can be used to manifest your needs and bring positive and permanent change to your life…in each card gently allow the reader to align their energy and can be read in two ways…1.) Direct cards, straightforward meanings that provide an insight or call to action and 2.) Reversed cards, which can indicate a potential blockage or imbalance in your energy that needs some attention. 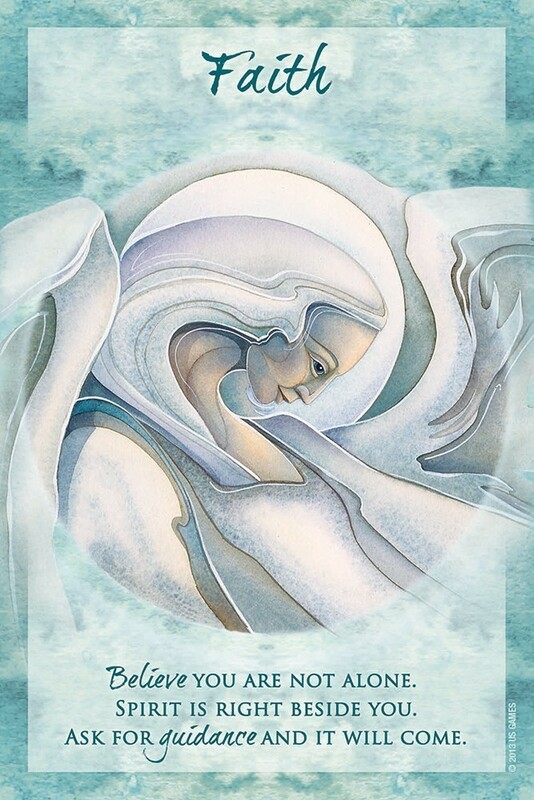 This card deck contains 44 graceful, and interactive portraits, that cause the reader to pause and reflect on their journey by asking “What does this mean…?” ”What information is this particular card trying to impart to me…?” Both wonderful questions that once asked and reflected upon, can be written down in a journal to keep observations and insights in. The affirmations are written in a flowing script style, giving it a unique feel, with some words highlighted in bold. There is a lot to love about this deck, with its pleasing colors, evocative art, and empowering messages. I like the way certain words in each inspirational message are emphasized by printing them in the calligraphy-style font used for the card's title/keyword. The keywords chosen by Jody Bergsma appear to cover every possible aspect of life, tuning in to common human emotions, perceptions, desires, and needs. I'm looking forward to trying the spreads from the Little White Book, especially the Five-Card Elemental Influences Spread, which is designed to answer the questions "Who are my allies?" and "Who walks beside and within me?" The watercolor paintings are truly lovely and inspirational. The animals and people are realistic yet have a fantasy feel. On one of my favorite cards, Pilgrimage, a white-haired, bearded man (who reminds me of "Father Christmas" or perhaps Merlin) appears to be moving forward, accompanied by several white animals including a wolf, bear, fox, deer, owl, and hawk. Another favorite of mine is Humor, which depicts a young fairy girl in a rainbow-striped dress dancing with a winged cat. A white dove flies overhead, spreading rainbow colors across the sky. 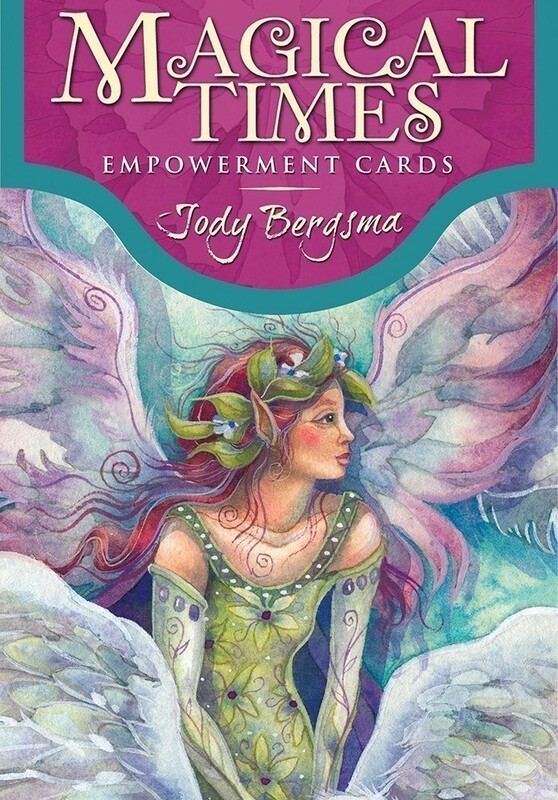 I just received a copy of the “Magical Times” empowerment cards, by Jody Bergsma, and I am blown away! I loved t his deck from the moment that I opened the b ox and took the cards out. There was an instant connection. Upon reading her bio, I understand why. Bergsma lives in Bellingham, WA – the same state that I live in! “Magical Times” is a 44 card set of cards combining inspirational images (based on Bergsma’s love of native wildlife, fantasy creatures, and geometric design) and affirmations. The 28 page companion book is presented largely in text, with five black and white images. The intent of the companion book … and the deck … comes out in the first sentence under “To Begin Your Readings” : “Like all things, Magical Times Empowerment Cards” are a living energy, and it is good to align with their life force.” We are immediately transported into a magical world that offers us hope and caring. Each card is presented with an affirmation. We are advised that the more times we read our affirmation, the deeper it will go into our mind and the more influence it will have. I find this deck to be very easy to connect with, and to use. I did a trial run with the cards in my May Full Moon ritual … they worked very well! The word empowerment is not used loosely – this IS an empowering deck! 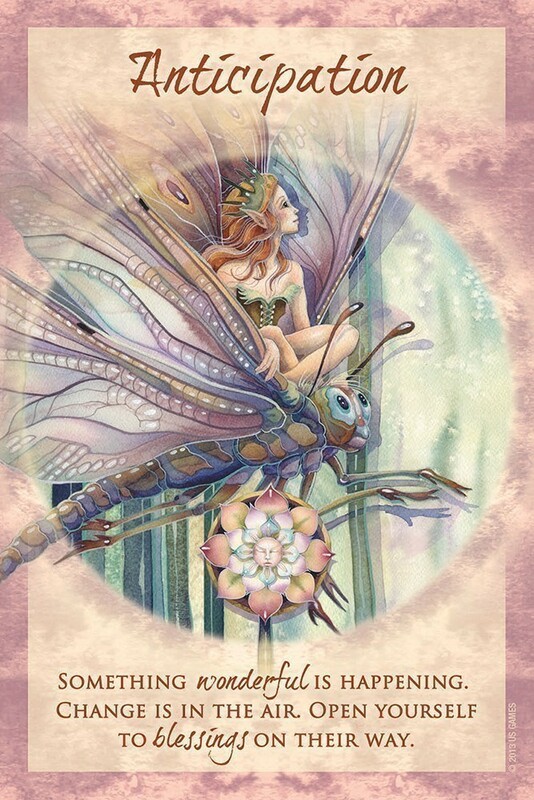 Magical Times Empowerment Cards by Jody Bergsma is a deck of forty-four cards, each with a pretty image and short affirmation. An enclosed twenty-eight page book includes a further message for each card as well as three spreads for use with the deck. 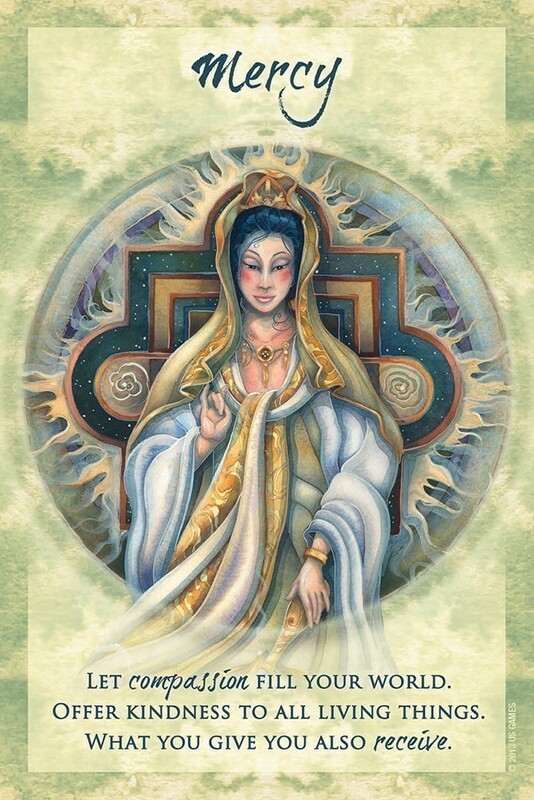 I am enough of a hard-core tarotist to not be a huge fan of oracle decks in general, but I recognize their purpose. An oracle deck requires no study, and no prior knowledge of the cards. You can purchase the deck and be doing readings the same day. 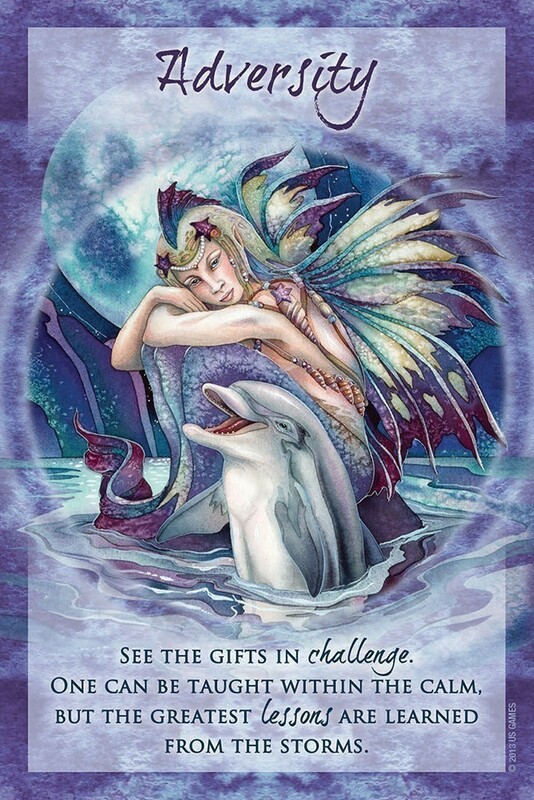 Oracle decks such as Magical Times Empowerment Cards require only the desire to receive inspiration and perspective. One of my favorite things about Magical Times is its lovely box. There will be no need to find another box or pouch for these cards. The cards themselves are a bit larger and squarer than most tarot decks. The cards are colorful without being garish. 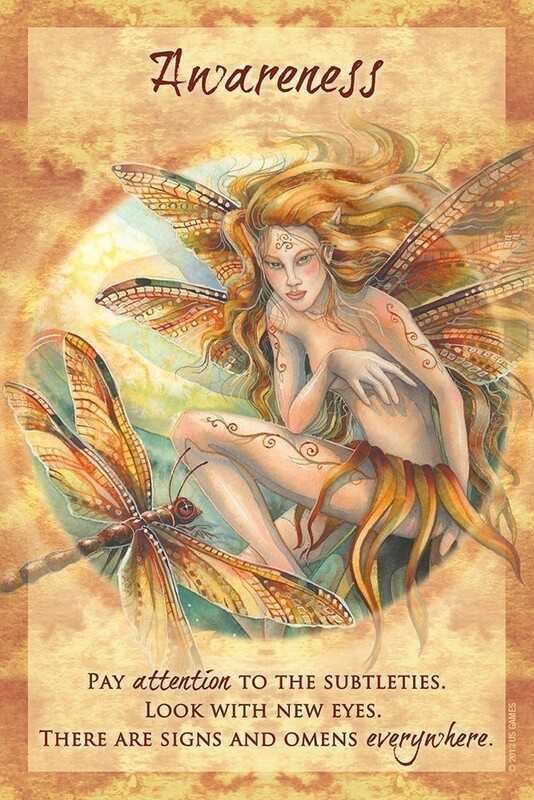 Each card has a simply title, such as Confidence, Creation, Nature, Prosperity and Quest. I really like the forty-four words that were chosen to be cards in this oracle. Right away I can see how these words could be helpful in healing, inspiring and directing those who seek wisdom from the cards. Each card is illustrated with a lovely picture. The images feature faeries, angels, animals—both real and mythical, flowers, butterflies and Celtic symbols. The Dignity card, for example, features a dragon. Destiny features dolphins. 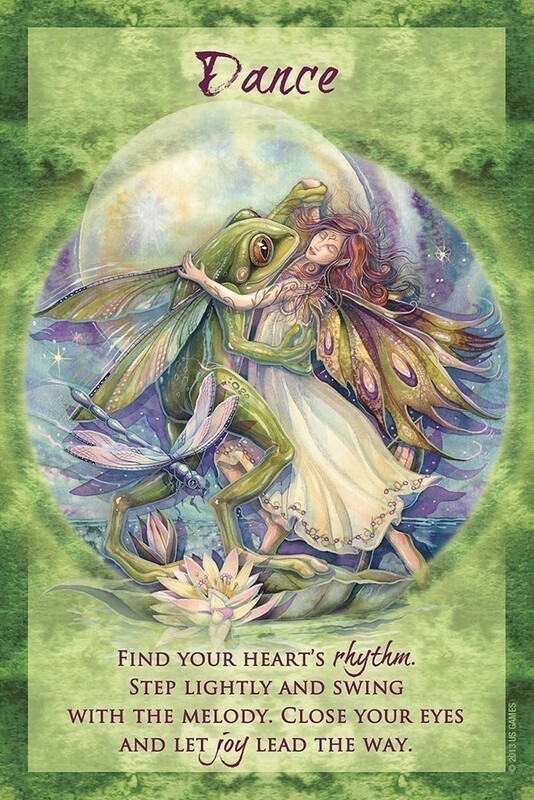 The Dance card shows a faerie dancing with a winged frog. I love that there is a Dance card, as well as a card of Mercy, and one of Manifestation. In many ways this is obviously a high-quality oracle. The art is appealing, and the cardstock is sturdy. I appreciate how much information is in the booklet. The cards are listed alphabetically. Each card has a statement that begins with “Today I will.” This is in contrast to the affirmations that are printed on the cards, which are directives rather than first-person affirmations. I really like the spreads in the booklet. There is a simple one-card spread, a three-card spread and a five-card spread complete with an elemental ritual. All three spreads seem effective and helpful. The variety of the spreads could easily inspire a diviner to create their own spreads for use with the Magical Times Empowerment Cards. I recommend the Magical Times Empowerment Cards to anyone who enjoys pretty oracle decks, mystical images and simple, spiritual messages. Welcome to the Magical Times Empowerment a magical deck of affirmations and dream-like fantasy images in rainbows of color. It becomes an instant friend. This deck is truly inspired. Some images have a playful energy and others are truly sacred in nature. The deck resonated with me immediately, in much the same way as a much-needed affirmation sets a situation straight with positive clarity. I was surprised by the ability of this deck to hone in gently on a situation while offering guidance (sample reading is at the end of this review). I found myself very excited and in wonder as I walked through this beautiful deck, discovering the gentle images of fantasy. Magical Times Empowerment are quality cards that sweep us into a wonderful journey that bridges our outside world experience with our inner emotional self. It is a gentle deck, easy to read, rich in color and imagery, and requires no reading experience in order to jump in and begin the intuitive experience. 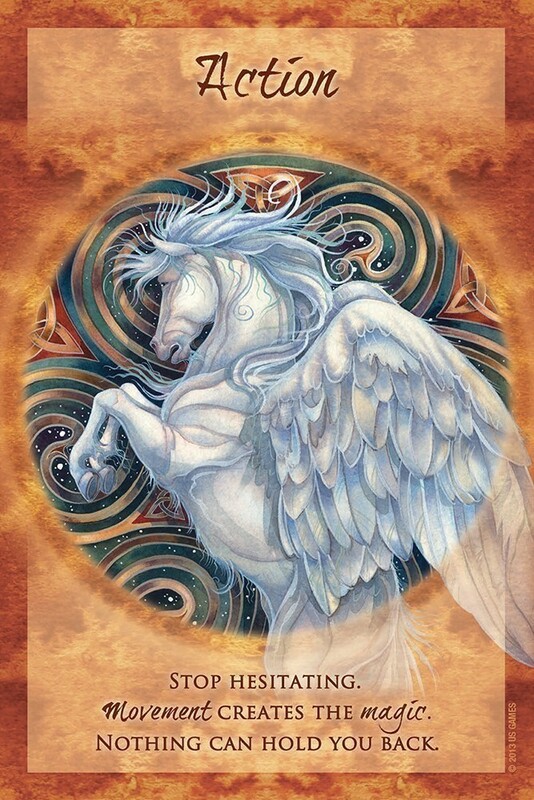 Angels, birds, faeries, unicorns and dragons are just some of the spirits that flow through the deck images. This elegantly boxed deck would make a beautiful gift to a dear friend, including a gift to yourself. 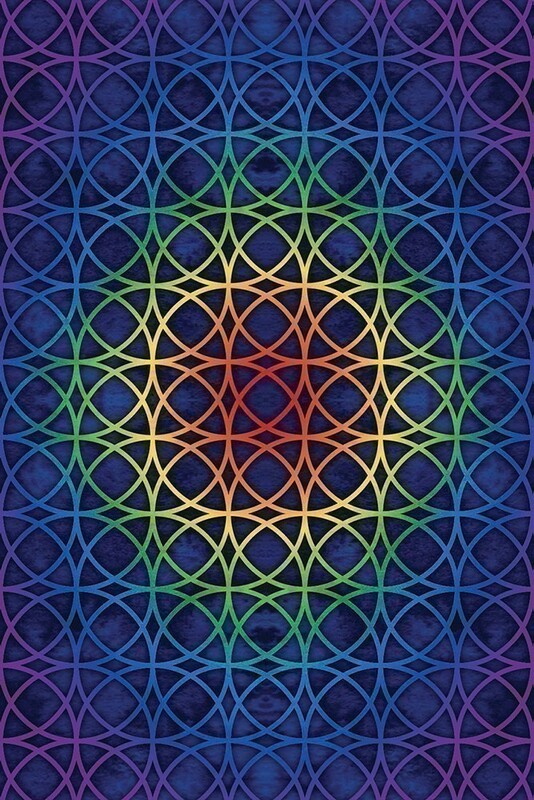 I found myself immersed in its flowing energy right away and found it connected with my life situations immediately. I highly recommend this deck.